Miss Universe 2015 pageant host Steve Harvey crowned the wrong winner… initially, that is. Miss Colombia, who was the runner-up, stood at center stage wearing the crown for a few minutes before it was taken away and given to the winner, Miss Philippines. This is perhaps the most bizarre ending to a Miss Universe contest ever. Right after realizing his mistake, Harvey went back on stage, corrected his earlier announcement and declared Miss Philippines as the winner, and apologized for the mess. It was an embarrassing moment but the Miss Philippines win was made more memorable because of the host’s mistake. But was it really a mistake? Someone (on social media) made a comment that it (the mistake) was done on purpose. After all, pageant hosts are forgotten after the contest… and, in the long history of the Miss Universe pageant, how many hosts were talked about in the same light as the pageant’s winner? Harvey just made Miss Universe 2015 something to talk about for a longer time. 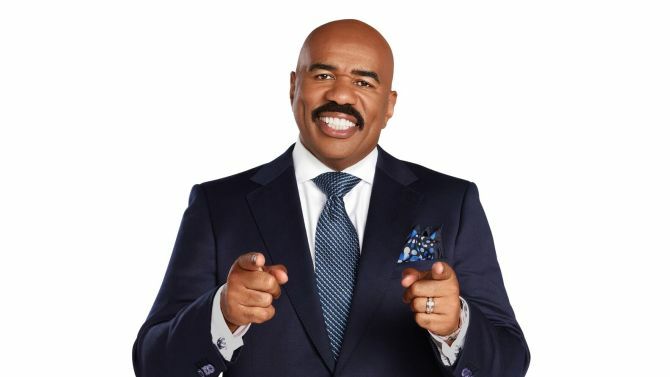 Steve Harvey, if he was a Filipino politician, would probably make it as president in May 2016. Traditionally, Pinoy politicians will simply find justifications for even the most obvious mistakes than apologize for them. His sincere apology to Miss Colombia and Miss Philippines/Universe and everyone concerned is a sign of a great human being. Owning up to the error only proved he had balls. Afterall, we all make mistakes, don’t we? Cheers, Mr. Steve Harvey!